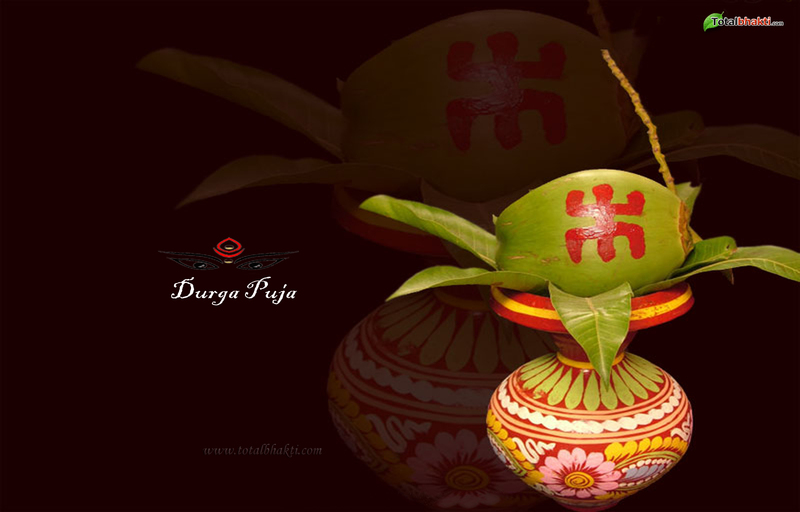 Durga Puja, conventionally, in the ancient times, was held during spring. 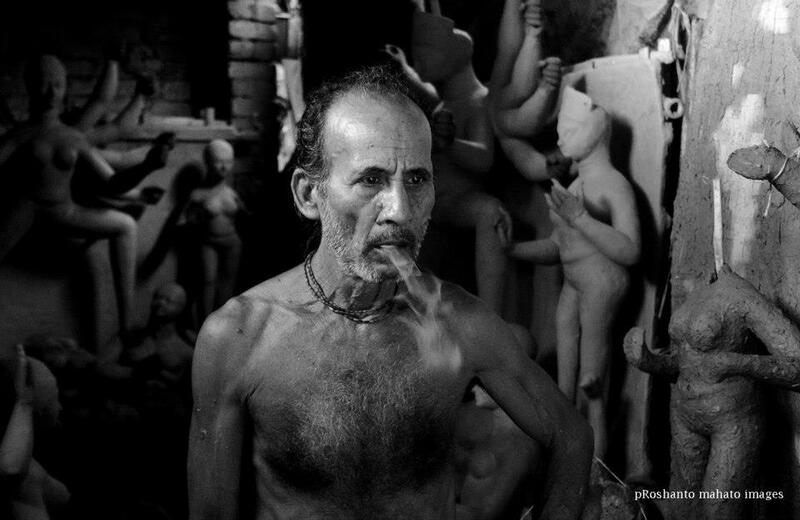 Known as Basanti Puja today, it has lost much of its glamour and gaiety to the autumnal Durga Puja, known since the time of Ramayana as Akal Bodhan, an untimely invocation of Goddes Durga, Durgatinashini. It is celebrated every year in the Hindu month of Ashwin (September-October) and commemorates Rama’s invocation of the goddess before going to war with the demon king Ravana. 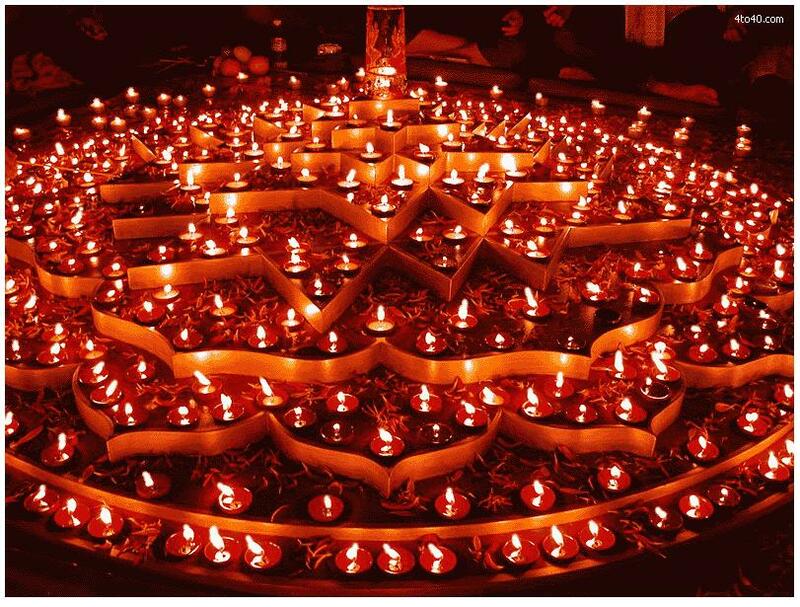 Lord Rama invoked the Goddess to seek blessings from Mahisasurmardini, the slayer of the buffalo-demon, and worshipped the deity with his offering of 108 blue lotuses and lighting of 108 lamps. 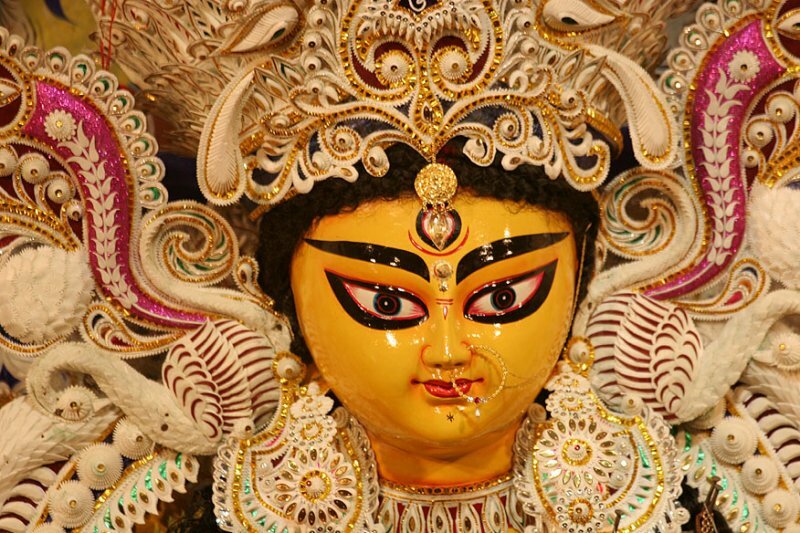 Mahalaya marks the day of Devi Durga’s descent to the earth. It is the first day of the ten-day long festivities of fast, feast and worship that ends on the tenth day, called Vijaya Dashami, when the Goddess is bid adieu and the idol immersed in the river. This period, of fifteen days, continuing till Lakshmi Puja, the Goddess of Wealth being worshipped on the Full Moon day, is known as Devi Paksha.Mahalaya falls on Amavasya, the autumnal New Moon day, the last day of Pitru Paksha, the fortnight of the departed souls of the ancestors. 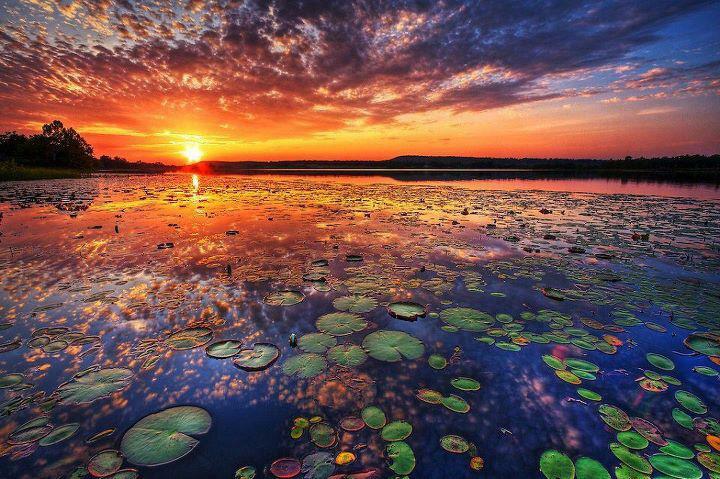 According to Hindu mythology, the souls of three preceding generations of one’s ancestor reside in Pitru–loka, a realm between heaven and earth. This realm is governed by Yama, the god of death, who takes the soul of a dying man from earth to Pitru–loka. When a person of the next generation dies, the first generation shifts to heaven and unites with God, so Shraddha offerings are not given. Thus, only the three generations in Pitru–loka are given Shraddha rites, in which Yama plays a significant role. According to the sacred Hindu scriptures, at the beginning of Pitru Paksha, the sun enters the zodiac sign of Virgo (Kanya). Coinciding with this moment, it is believed that the spirits leave Pitru–loka and reside in their descendants’ homes for a month until the sun enters the next zodiac—Scorpio (Vrichchhika)—and there is a full moon. 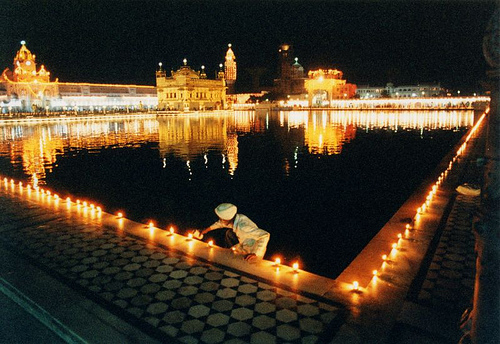 Hindus are expected to propitiate the ancestors in the first half, during the dark fortnight. When the legendary donor Karna died in the epic Mahabharata war, his soul transcended to heaven, where he was offered gold and jewels as food. However, Karna needed real food to eat and asked Indra, the lord of heaven, the reason for serving gold as food. Indra told Karna that he had donated gold all his life, but had never donated food to his ancestors in Shraddha. Karna said that since he was unaware of his ancestors, he never donated anything in their memory. To make amends, Karna was permitted to return to earth for a 15–day period, so that he could perform Shraddha and donate food and water in their memory. This period is now known as Pitru Paksha. In some legends, Yama replaces Indra. Pitru Paksha is considered by Hindus to be inauspicious, given the death rites performed during the ceremony, known as Shraddha or tarpan. 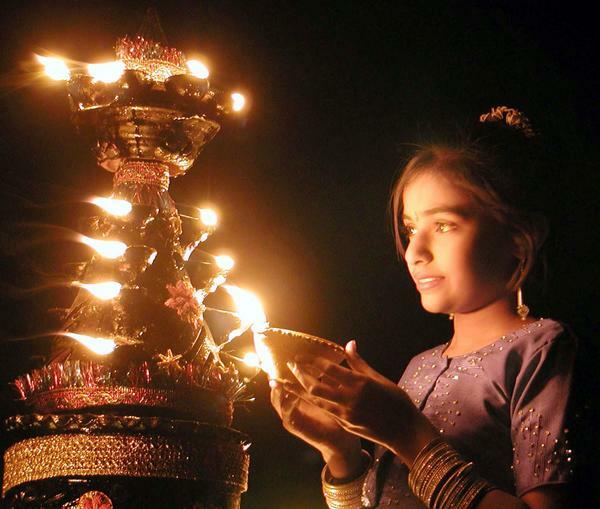 In southern and western India, it falls in the Hindu lunar month of Bhadrapada (September–October), beginning with the full moon day (Purnima) that occurs immediately after the Ganesh festival and ending with the new moon day known as Sarvapitri amavasya, Mahalaya amavasya or simply Mahalaya. 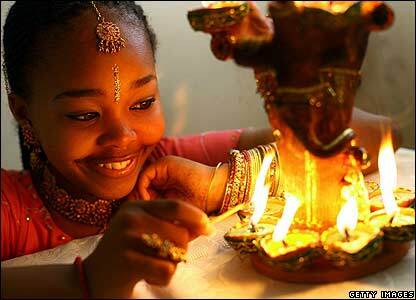 In North India and Nepal, this period corresponds to the dark fortnight of the month Ashwin, instead of Bhadrapada.